Turkey tail (Trametes versicolor) has been a favourite immune-boosting mushroom of herbalists for thousands of years. Known as a potent herb on nearly every continent, it has been used traditionally for boosting Qi (Chi) and vitality, toning the liver, improve thymus health, building strong bones and muscles and to help improve overall gut health. As an immune-stimulant it is world-class. 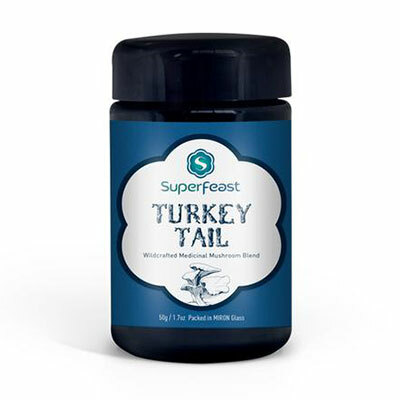 Turkey tail is high in the protein-bound polysaccharides PSK and PSP, which are thought to explain its incredible ability to boost of the body’s surface immunity and core immunity against pathogens. Other compounds found in turkey tail also help to modulate the immune system to keep it strong and resilient. Super bio-available turkey tail mushroom 10:1 extract powder. Not irradiated. No added grains, fillers, starch, or mycelium. Start with 1/8-1/2 tsp daily. Great in hot or cold foods or broths. 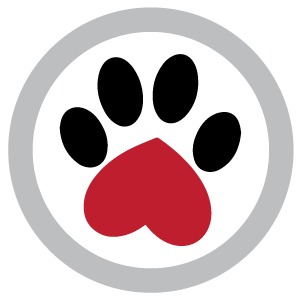 Serving size may be increased to up to 1 Tbs per day for large dogs; recommended daily serve is approx. 1 tsp for most dogs (depends on constitution and intention). This herb has been extracted with care for maximum bioavailability. It is ready to be taken as is. 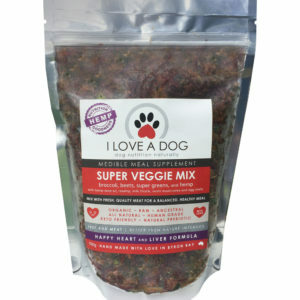 The extract is NOT heat sensitive and can be added to hot food or cold mixes. Your dog’s herbs are packed in Miron violet glass to protect them from damaging UV rays, and include a silica-based desiccant to absorb moisture (the enemy of your herbs!). Keep these herbs dry and tightly sealed and they’ll thank you! The herbs are packed by weight not volume and some settling may occur. Please reuse your Miron jars!! Superfeast’s premium quality herbs are sourced wildcrafted or semi-wild from China. Non-irradiated.